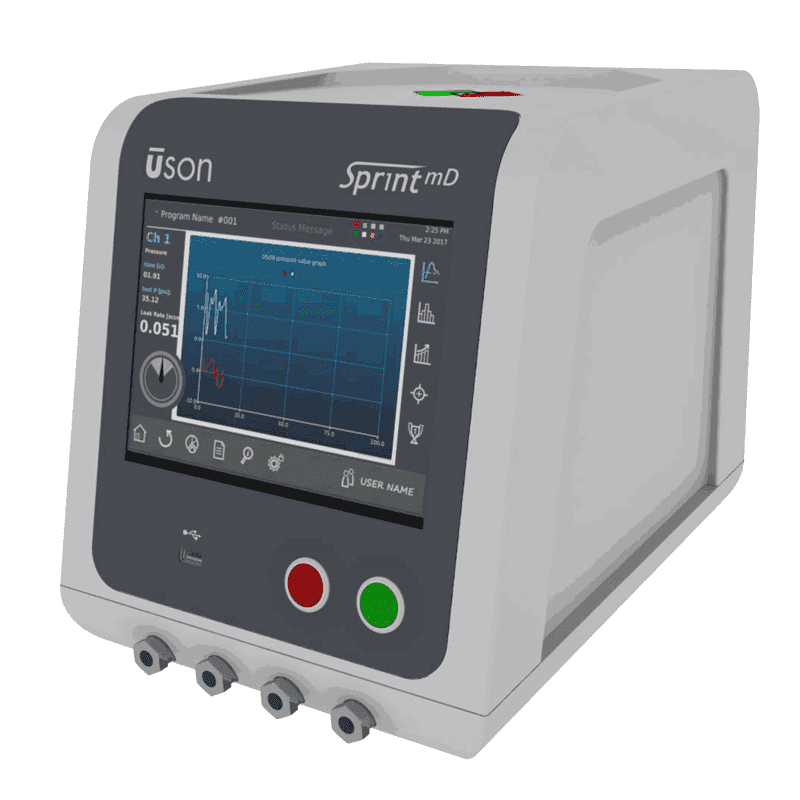 Designed to seamlessly integrate into your network, the Uson SprintmD leak tester communicates and assimilates process data to and from connected equipment, providing the intelligence required to optimize manufacturing quality processes. 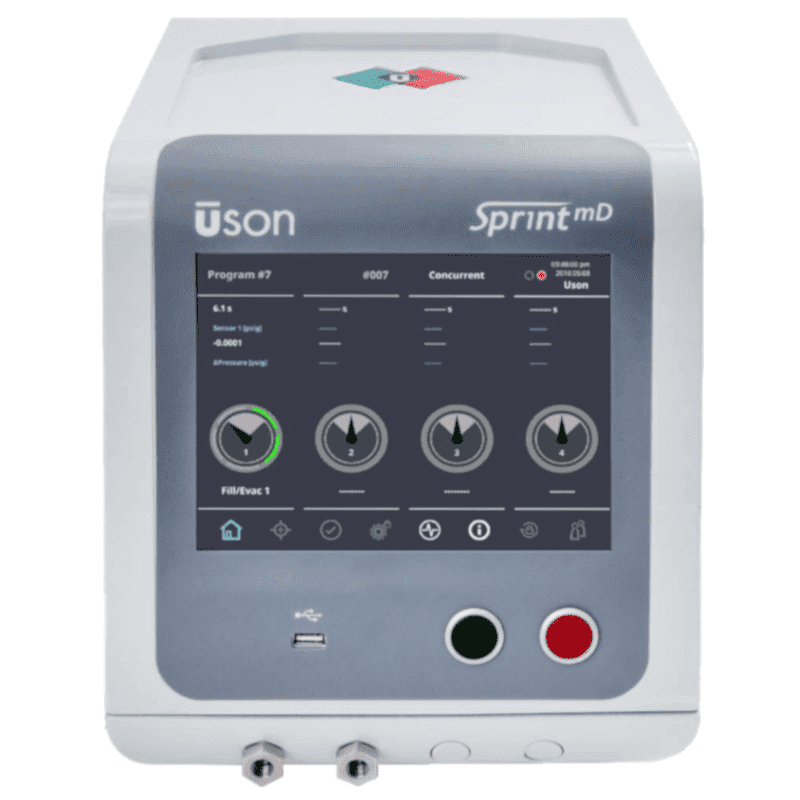 The Uson SprintmD helps users achieve operational excellence by delivering improved process insights powered by embedded fieldbus technology and combined with advanced security features to meet compliance requirements. 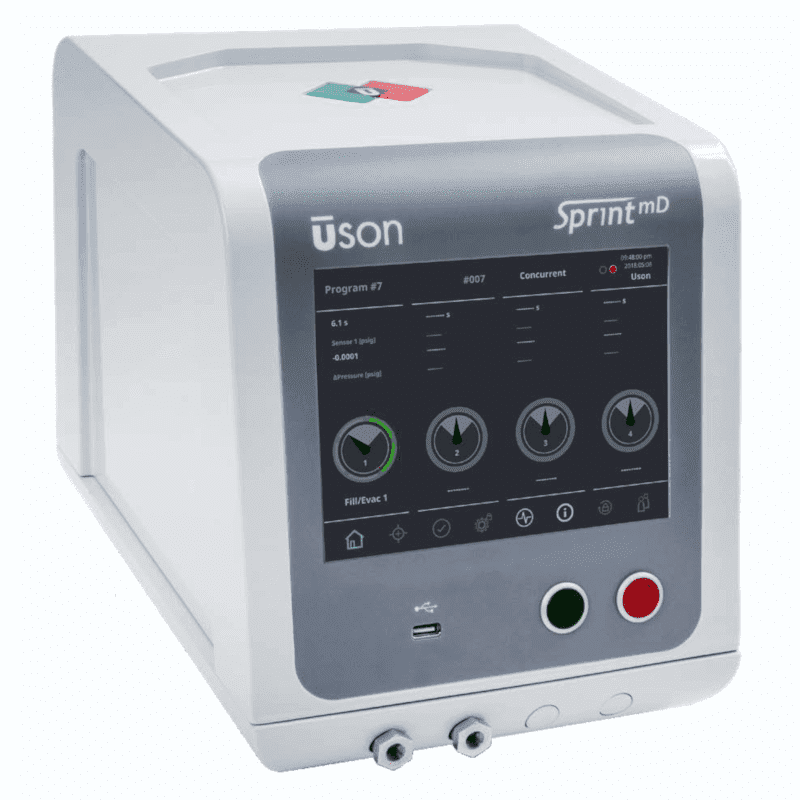 With a very fast cycle time and the ability to accommodate a wide range of multi-functional and part integrity tests, the Uson SprintmD is the ideal leak tester to meet the requirements for product testing within the medical device industry.